Energy advice blog posted on the Centre on Innovation and Energy Demand (CIED) website on 29 January 2018. Written by Louise Sunderland. Louise Sunderland is a member of the Energy Advice Exchange. As the weather turned really cold for the first time last month the UK government published its latest piece of research into fuel poverty (energy poverty) – a report on the behaviours and attitudes of the fuel poor. The research report contains some interesting if not wholly new insights into the experience of fuel poverty, situational trends within the group and coping strategies. The researchers interviewed households across a number of inner urban areas, some of whom were deemed to have a high likelihood of fuel poverty and others deemed to have a low likelihood. It covered issues around heating the home, bills and paying for energy, accessing advice and energy saving measures. A number of statistically significant trends between the two groups emerged but the strong trends that struck me were: those with a higher likelihood of fuel poverty are less likely to use central heating in the home and if they do they are less likely to have adequate controls; they are notably more likely to be using pre-payment which in some cases is reported to be preferred as a method of managing fuel expenditure and avoid unexpected bills (which highlights the potential for smart meters, but only with really user friendly user displays, to help this group move from expensive pre-payment tariffs but maintain control of their expenditure); and they were significantly less likely to have installed the main energy efficiency measures due in part to the fact a much higher proportion of the high-risk group lives in private rented sector. The survey also asked about energy advice and found that significantly fewer higher likelihood households had ever switched energy supplier. Of those who had accessed advice, the higher likelihood of fuel poverty group found it harder to do so than the low likelihood group which is worrying and indicates that services are perhaps not reaching the most vulnerable and in need. When asked what medium for advice is preferred, although both groups preferred web-based sources first followed by face-to-face, those within the higher likelihood of fuel poverty group that the surveyors deemed to be most in need preferred face-to-face advice. These are a few of the headlines I take away from reading the report but my overarching thought is a reminder that fuel poverty is complex. Multiple causal and contributing factors influence the diverse group of households that experience fuel poverty, these households each develop different attitudes and coping strategies to manage the need to heat and power their homes affordably, avoiding surprise bills and arrears. Given this vast complexity, our strategy for reducing and eventually eliminating fuel poverty needs to respond appropriately. No single ‘one size fits all’ policy measure has proven (in nearly 2 decades) in the UK to be sufficient to address not only the short-term need to reduce the cost of energy and deal with fuel debts but also to provide longer-term protection to prevent a return to a stress situation in the next heating season or when energy costs rise. Furthermore, we are still lacking a truly effective but cost-effective targeting method to ensure that those who are in need are eligible for and reached by the support available. In order to reach the diverse group of the fuel poor, and particularly the vulnerable and socially marginalised, I believe we need a complex referral network (e.g. healthcare services, citizen’s advice, social housing providers, etc.) and a well-rounded service into which to make referrals. With all of this in mind, I was really pleased to come across a new briefing also published recently by the Centre on Innovation and Energy Demand at the University of Sussex on the role of ‘energy cafés’ in alleviating fuel poverty. The briefing is written with South East London Community Energy which runs an energy café (not far from where I live). Energy cafés (or energy shops) are a local initiative providing face-to-face energy advice in an informal, physical space, often on a temporary or pop-up basis. The CIED have found that the combined benefits for clients typically outweigh the costs of the service by a factor of three. They found that a drop-in service is cheaper to deliver than a home visit but the service can act as a ‘triage’ referring clients on to the most suitable further support whether that be a home visit to assess and recommend energy efficiency measures, support from a local authority, health service or community group. 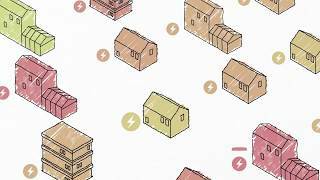 The energy café approach unsurprisingly shares many of the principles of broader energy advice for renovation that we, as the Energy Advice Exchange, have been promoting over the last couple of years. For example, the importance of a local service that is physical and provides face to face support, supported by outreach or marketing, which offers not just a single service but a range of support that can be tailored to the client’s needs. CIED conclude that coupled with a strong interagency referral network and the all-important funding, there is clear potential for good quality, trusted, local energy advice to alleviate fuel poverty. Unfortunately, in the UK the quantity and quality of energy advice has been cut over recent years. All consumers, particularly those who are most vulnerable, benefit from client-focused services that can respond to their own complex situation and draw together the various support available – whether that be, in the situation of fuel poverty, energy supplier programmes, debt advice or energy efficiency advice or measures. And energy cafés are just one example of many throughout Europe to help empower consumers – to save energy in their homes and improve their quality of life. No consumers can be left behind in the energy transition so we need to learn from and replicate these good examples. This post was originally published on the Energy in Demand blog. A brief overview of all the End Use Energy Demand Centres (EUED) is available via the following link.